I remember my dad talking about being a young soldier in World War II hunkering down in a foxhole with mortar shells falling around him telling God if he saved him he would give his life to God. Then after spending 11 months in a German POW camp dad came home and spent rest of his life fulfilling his promise to God. My dad found himself where the apostle Paul was when he was sure “death seemed certain.” And like Paul found himself trusting in God. Hunkering in a foxhole with death falling all around isn’t an everyday happening for us but the need to trust God is. I know I’ve written on the subject before and I will probably will continue because I keep finding little things I need to surrender and trust God. I don’t know if that is true with you or not but just when I think I am trusting God wham! I find myself lying flat on my back looking up wondering what little pothole tripped me this time. 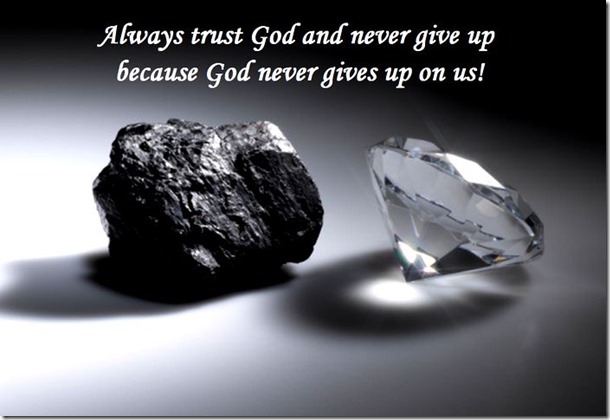 Always trust God and never give up because God never gives up on us!